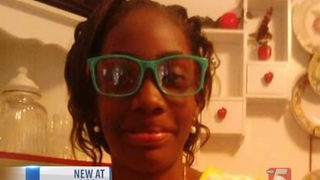 A 13-year-old Tennessee girl was shot in the head during a drive-by shooting and later died earlier this month, and on Tuesday, police officers arrested the man they believe is responsible: 19-year-old Joseph Hendry, WKRN reports. C’Asia Watkins was sound asleep in her Lebanon, Tenn., home on Jan. 5 when it “was riddled with bullets,” the news site explains. C’Asia was taken to the hospital and pronounced dead a few days later after being taken off life support. Hendry was charged with criminal homicide and is being held without bond. He had been arrested several times before on drug charges.